SIGNIFICANCE: »Rare as a two storey house and as an example of the Spanish Mission style (although not distinctive) in Hamilton. Important for its dominating position in the streetscape. The house is supported by a complementary period garden. It is significantly intact and in excellent condition. It is also important for its dominating position in the streetscape and relates to both its neighbours, St Ronan's and The Bungalow at 5 and 6 Dryden Street. 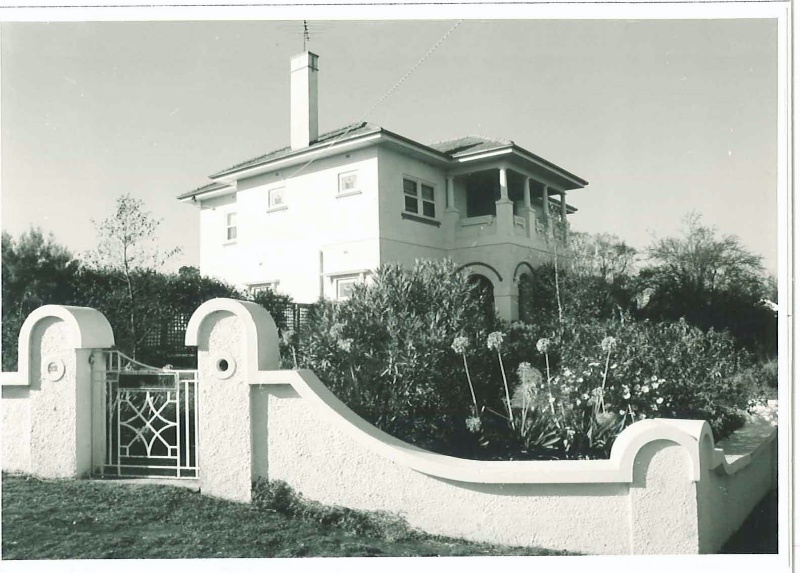 [i] HSA DP No 882, probably concrete block and possibly the same sort as The Bungalow, 6 Dryden Street.